Graeme Moncur, Structural Engineer at Arup and Andrew Harvey, Resident Engineer at Arup will talk about Designing and Delivering the V&A Dundee. 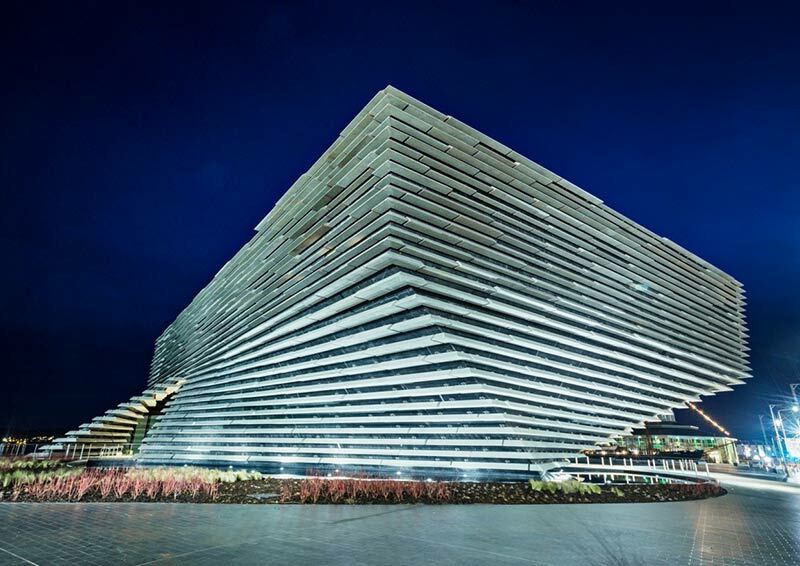 V&A Dundee was designed by renowned award-winning Japanese architects Kengo Kuma & Associates, following an international competition, and is Kuma's first building in the UK. Considered by many as the quintessential Japanese architect of today, Kuma is also designing the stadium for the Tokyo 2020 Olympics. Designing a building of such complexity raises new types of problems such as: how do you draw a building like this? The simple answer is that you don't. This building was conceived, developed, designed and delivered through the use of 3D model information with a single central model that drove everything from structural analysis through to the cutting and placing of formwork on site. V&A Dundee is the first time the V&A has created a permanent base outside of London and it is therefore wholly fitting that this museum to showcase design is itself an engineering marvel. Registration and refreshments are from 5.30pm for a 6pm start.